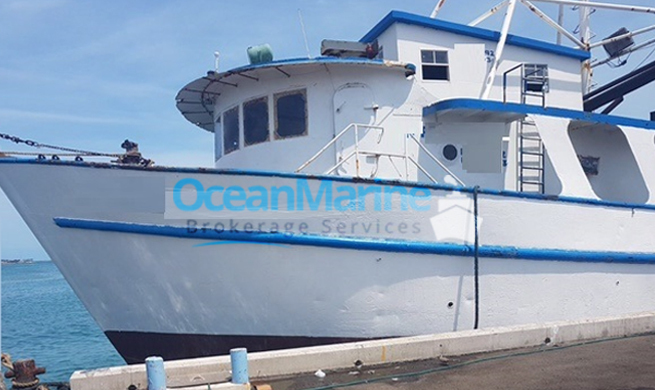 If you are still looking to find new or used commercial lobster boats for sale then consider using the professional services provided by international boat brokers like Ocean Marine Brokerage Services. Rather than scouring the likes of various used commercial boat websites or local reseller applications, entrust your search to the experts. International brokerage services bring all interested parties together in one simple place that’s easy to find, easy to use, and full of enough commercial lobster boats for sale to find exactly what you have been looking for. It doesn’t matter if you need a supply vessel, if you’re looking for commercial lobster boats for sale, or are interested in used commercial fishing charters - Ocean Marine can help! By pulling from a collection of international sellers around the world and submitting used boat listings for specific selections like commercial lobster boats for sale online, licensed boat brokers make finding real, trusted buyers and sellers easier than ever. These include as many vessel varieties that you can think of and, better still, the selection of boats, ships, yachts, charters, and other commercial vessels for sale is always being added to. Check out some recent arrivals below! The reputation of international commercial boat brokers has gained such a reputable position thanks to the shared commitment of finding genuine listings with accurate information. By using local representatives and selling agents, Ocean Marine is able to verify each and every posting we list through our online marine brokerage service. This confidence in our ability to help comes from our continued professional relationships with other trusted contacts in the industry. By working with others and having agents in various regions always on the hunt, we not only locate new and used commercial lobster boats for sale - we find a growing number of decommissioned ships and unused commercial vessels ready for a new life. Please contact a member of the Ocean Marine team to discuss any additional questions you might have.